Winter is drawing in and I’m feeling less and less like going out at the weekends. 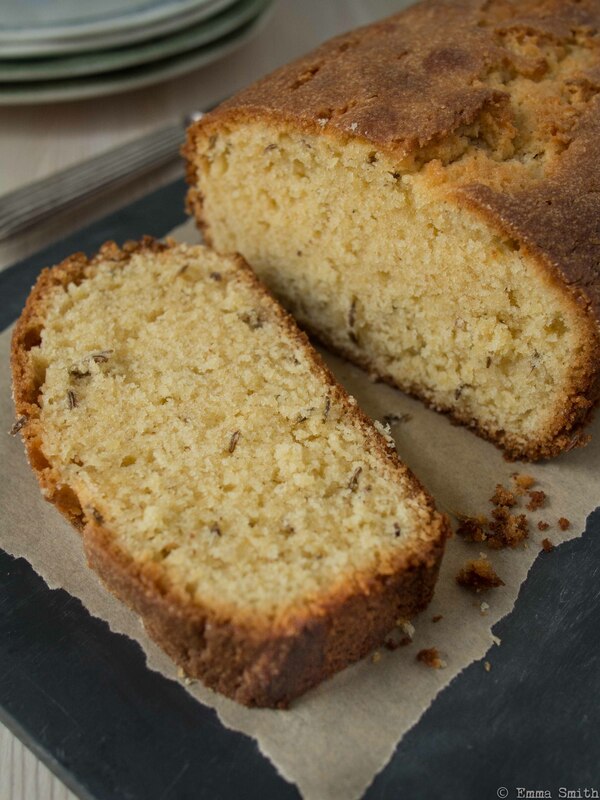 There is something so comforting about tucking yourself up at home away from the elements and this caraway seed cake by Nigella is perfect for cold winter weekends with a cup of tea or an indulgent hot chocolate. The ground almonds make it very moist and buttery and it will keep wrapped in an airtight container for up to 7 days. Preheat the oven to 180c or gas mark 4 and line the 900g/2lb loaf tin with baking parchment. Cream the butter and 175g caster sugar until light and fluffy. Combine the flour, baking powder, ground almonds and caraway seeds in a bowl and add a tablespoonful to the butter and sugar mixture then mixing steadily, add one egg at a time with a spoonful of dried ingredients between each egg. Once all the ingredients are combined, spoon into the lined loaf tin and smooth the top before sprinkling with the remaining tablespoon of sugar. Bake for approximately 45 minutes but check at 35 and be prepared to go on for 50 minutes depending on your oven. The top and edges will turn crispy golden and a skewer should come out clean when inserted when the cake is done. Cool in the tin on a wire rack and once cool enough to handle remove the cake from the tin onto the rack to allow to cool completely.